Accidents happen. Can you afford to disappoint customers or cover losses and damages month after month, year after year? We think you shouldn’t have to. Stamps.com Package Insurance protects your shipments against any loss and damage that occurs in transit. Stamps.com proudly offers USPS® insurance too. While USPS insurance is good, we think ours is better. With Stamps.com Package Insurance, you’re guaranteed 10% off USPS insurance rates for First-Class Package Service® and Priority Mail®. Plus, the Stamps.com Professional Shipper Plan offers up to 40% off USPS insurance rates on most mail classes. Stamps.com insures packages up to $10,000 in coverage, while other shipping insurance programs restrict coverage to $500. No more splitting up shipments for full coverage or assuming liability for packages over $500. Stamps.com has you covered. Get international insurance at domestic insurance rates! Stamps.com will insure any package to any country the USPS delivers mail to. Say goodbye to forms. 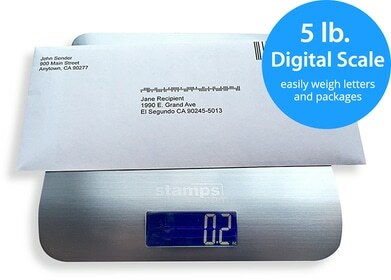 Stamps.com Package Insurance is available through our automated, web-based software. You’ll have insurance in just a few clicks! No more trips to the Post Office. Looking for quick, hassle-free claims? Stamps.com delivers. All insurance claims are quickly processed within 7–10 business days. We do the math so you can save time. Just enter the value of your shipment and the Stamps.com software automatically calculates the insurance cost and applies it to your account. Nearly 732,000 customers trust Stamps.com Package Insurance, a coverage program rated “A” Excellent by A.M. Best and underwritten by Parcel Insurance Plan® and Fireman’s Fund℠.